Patrick graduated from the APTA accredited Physical Therapy Program at the University of Ulster in Northern Ireland in 1998. After graduation, he was awarded a studentship to pursue a Doctorate in the field of Musculoskeletal Pain and Dysfunction which he completed in 2002. 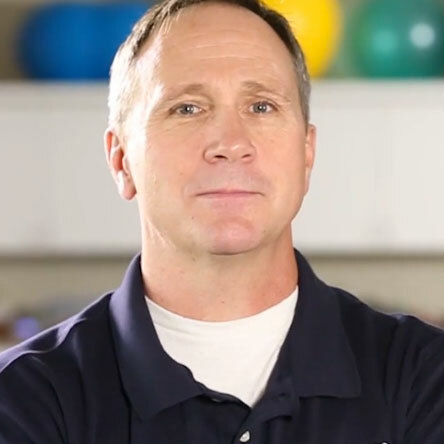 In 2002 he returned to Alaska and worked with Providence Hospital as a staff PT and later as a Clinical Supervisor specializing in both orthopedic and neurological conditions with an emphasis on manual therapy and exercise prescription. 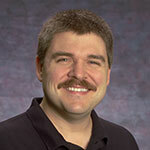 Patrick is a Star Certified Oncology Rehabilitation Clinician as well as a Certified Mulligan Practitioner. Danielle graduated with a Bachelors in Exercise Science from the University of Nebraska at Omaha and went on to earn a Doctorate of Physical Therapy from the University of Mary in Bismarck, North Dakota. Her passion for life-long learning drives her as she strives to combine evidence-based practice and compassion to provide patient-centered care. Danielle has dedicated herself to women's health and pelvic floor dysfunction, focusing her continuing education on courses through the APTA's Section on Women's Health and Herman & Wallace Pelvic Rehabilitation Institute. Her desire is for women to understand the role of physical therapy, and experience how it can improve the quality of life throughout the lifespan. 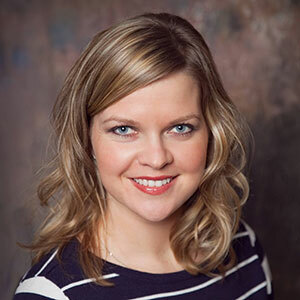 Trish graduated with her Bachelor of Science degree in Biology from Valley City State University before going on to earn her Bachelor’s and Master’s degrees in physical therapy from the University of North Dakota. Born and raised in Minnesota, she didn’t quite envision ending up in Alaska, but has been in the state since graduating in 2002 and has no intentions of leaving. She spent the first 12 years of her career working in the Kenai/Soldotna area and has been in the Wasilla area with her husband and four children for the past two years. Although she has experience in a variety of settings, her primary area of interest is outpatient orthopedics. Nichole Roiko attended The College of St. Scholastica in Duluth, Minnesota where she received her Bachelors of Arts in Health Sciences in 2005 and her Doctor of Physical Physical Therapy in 2007. Her passion is to make a positive impact and difference in people's lives. Nichole's professional interests include knee and shoulder rehabilitation, post-surgical rehabilitation, vestibular rehabilitation, and helping patients return to their recreational pursuits. Nichole believes in exceeding patient expectations and achieving patient goals through advanced education, evidence-based rehabilitation, manual therapy techniques and getting patients to move more functionally by utilizing the Selective Functional Movement Assessment. In her free time, Nichole enjoys exploring what Alaska has to offer, hiking, CrossFit, spending time with her family and friends and traveling. Jean is a 1984 graduate of the Mayo School of Health-Related Sciences - Program in Physical Therapy. Jean’s work experiences have been mostly in the area of outpatient orthopedic care. Over the past 25 years, one of her specialty areas includes providing foot evaluations and custom biomechanical orthotic fabrication, at a very cost-effective rate to the patient. In addressing the Biomechanical alignment of the foot, the orthotics include Forefoot and Rearfoot posting, and pt.’s have found her approach 95% more successful than the traditional casted orthotics. She has an extensive background in treating Worker’s Comp injuries, as well as providing education and injury prevention services to business and industry to help reduce work-related injuries. She has special certification in performing Functional Capacity Evaluations (FCE) and Pre-Work Screening (PWS) and work rehabilitation (WR) through the “Work Well Prevention and Care” standardized method of testing. She has been performing FCE’s for over 19 years. Jean has also worked with employers to provide on-site evaluation of an individual’s workstation and make recommendations for changes, as well as developing onsite stretching programs, and educational seminars to help reduce injuries of their employees. She has also given presentations numerous times at the Annual Alaska Governors Safety and Health Conference and received great compliments for the information provided. In addition to being a physical therapist, Jean has a certification as an Occupational Hearing Conservationist and is trained to perform audiometric screening and hearing conservation. Jean is the current board member of the Mat-Su Sertoma Club, who provides free monthly hearing screening to the general public. Due to a hearing loss that she suffers from, she is an advocate for hearing protection and hearing loss prevention. Marlys received her Bachelor of Science degree in Physical Therapy from the University of North Dakota School of Medicine and received her Doctorate from A.T. Stills University in Mesa, Arizona. Marlys has lived across the nation and overseas, and has extensive experience in hospitals and rehab centers in large cities as well as in small-town hospitals and nursing homes. Her experience makes her very comfortable in treating a wide variety of diagnoses, including those needing vestibular, orthopedic, and oncological rehabilitation. 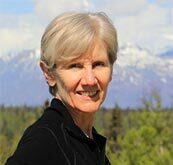 Marlys and her husband moved to this area for the express purpose of working in the Sunshine clinic in Talkeetna. She counts it a special privilege to be allowed to provide care for people who are so eager to work hard to help themselves. Marlys has a deep love for research and plans to use that to bring the best care possible to the people she serves there. When not at work, Marlys loves spending time with her husband, hiking with her dogs, researching, worshiping, or enjoying rich conversation with friends. She’s looking forward to learning to cross-country ski, paddleboard, and canoe. And having been raised in North Dakota, she’s really glad to be looking forward again to snow and northern lights!! 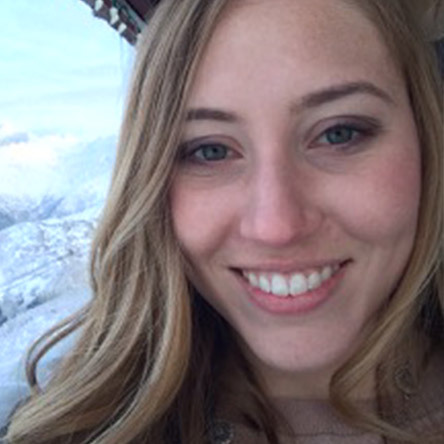 Hannah moved to Alaska in 2016 from North Dakota where she completed a one year residency program in orthopedic physical therapy. During this residency, she had extensive training in treating all orthopedic conditions including TMJ dysfunction, spinal problems, and joint issues. Hannah then received the prestigious certification of OCS, Orthopedic Certified Specialist. She also has experience working with children with various pathologies, including Down Syndrome, cerebral palsy, and spina bifida. Prior, Hannah graduated from the University of North Dakota in Grand Forks, ND in 2015 with a Doctorate in Physical Therapy. When not treating patients, Hannah enjoys hiking in the beautiful Alaska mountains with her husband, running, scrapbooking, crocheting, and playing the piano. Becky graduated from Idaho State University with an AAS Physical Therapist Assistant in 2012, as well as her bachelors in both biology and health sciences in 2013. She worked for 2 years at an outpatient orthopedic clinic in Southeast Idaho before deciding it was time to continue her education. She then earned her Doctor of Physical Therapy in April 2017 from the University of Mary in Bismarck, ND before moving to Alaska in May 2017. Becky enjoys working with a variety of musculoskeletal and orthopedic conditions but is most passionate in the treatment of women’s health, pelvic floor dysfunction, and prenatal/postpartum rehabilitation. She is currently pursuing specialization through the APTA Section on Women’s Health and plans to expand her education with Herman and Wallace. In her spare time, you can typically find her with her family in the outdoors camping, hunting, fishing, hiking, and exploring all that Alaska has to offer. Shain has extensive experience and training for the entire upper extremity. As a Certified Hand Therapist, he also specializes in the treatment of orthopedic and soft tissue rehabilitation of the shoulder, tendinitis, and post-surgical recovery for the upper extremity. Evaluation and assessment of non-surgical dysfunction is an area of strength for Shain. He is skilled at assessing an individual’s ability and making a plan of care to promote health and independence in order to restore pain-free function. Shain is equally skilled in the fabrication of advanced custom elbow, wrist and hand splints. As an owner of Health Quest, Shain enthusiastically embraces his role as a practicing therapist while managing the long-term goals of the practice. Sherrie was born and raised in Alaska and served in the US Army Reserves where she received her training as an Occupational Therapy Assistant. She graduated from the Academy of Health Sciences in Fort Sam Houston, TX in 1998 and passed her certification exam that year. Sherrie worked in Texas for two years and then returned home in 2000. She worked at Mat-Su Regional Hospital from 2000-2005 seeing a variety of patients in the home health, outpatient, and inpatient settings. She started working at Health Quest Therapy in 2005 and has since focused on upper extremity care both neurological and orthopedic. Sherrie has continuing education in the areas of joint mobilization/manual therapy of the upper extremity, treatment of the hemiplegic shoulder, physical modalities and Graston Technique certified. Greg Caffiero graduated with a degree in Occupational Therapy from Elizabethtown College in 2003. After working in his hometown of New York City, Greg took an opportunity to relocate to Maui and practiced for several years as an Occupational Therapist for Maui Memorial Medical Center's Rehabilitation Department. In 2011, Greg decided to further his career and dedicates himself to the specialty field of Hand Therapy. Greg was chosen as the 2011 Hand Therapy Fellow at Hospital for Special Surgery, the country's #1 orthopedic hospital, in New York City. He completed the 9-month mentored fellowship in 2012 and was then hired on to Hospital for Special Surgery's Hand Therapy Department, where he spent the following 2 years. Now as a nationally recognized Certified Hand Therapist, Greg was excited to return to the island of Maui to serve the community with his skilled therapeutic approach and knowledge. Greg spends some of his time away from the clinic, playing hockey for Maui inline hockey association in Kihei. He also enjoys surfing, golfing, and diving. Jesse graduated with a Master’s in Occupational Therapy from University of Texas, El Paso. After completing fieldwork and working in a diverse setting in rural Texas, Jesse joined the Health Quest Therapy team in his hometown of Kihei, HI. Jesse is passionate about orthopedic upper extremity rehabilitation and is actively pursuing his hand therapy certificate. Jesse enjoys paddling an outrigger canoe, hiking, surfing and spending time with friends and family. 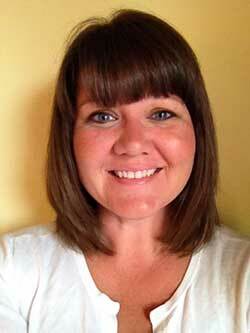 Sarah earned her Master of Science in Occupational Therapy from Colorado State University in 2005. Initially wanting to pursue a specialty in hand therapy, she put this on the back burner to experience our great country through the opportunity of travel therapy. Sarah gained valuable experience in a variety of OT practice settings. She eventually settled in Maui where to work for seven years in a combined acute and outpatient hospital. Since moving to Alaska in January 2017, Sarah has achieved her goal of becoming a certified hand therapist (CHT). Sarah takes full advantage of Alaska's abundant outdoor recreation experiences while honing her skills as a hand therapist. Ron graduated from Eastern Michigan University with his Occupational therapy degree in 1998 and received his masters in 2016. Early in his career, he provided hand therapy in an outpatient setting before focusing on cognitive rehabilitation and industrial ergonomics. He enjoys golf, fishing and spending time with his family. Ellen graduated from The University of Texas at Dallas with a Masters in Speech Language Pathology in 2010. She has experience with articulation, language, the birth to three year old population, voice, fluency, autism, AAC devices, and feeding and swallowing. Her family includes her husband, Aaron, three year old daughter Grace, Six month old son, William, and two dogs. They have been Alaska since 2010 and cannot get enough of the outdoors. Graduated from Montana State University, College of Technology in Great Falls, Montana with her Associates in Occupational Therapy. She has 11 years of experience in a variety of settings that include outpatient orthopedics and pediatrics, SNF, school district and home health. Alys has additional training in fine motor skills, sensory integration and transitioning skills. Hannah graduated from the University of Wisconsin-La Crosse in December 2013 with a master’s degree in Occupational Therapy. Hannah has worked directly with children with a variety of diagnoses including sensory integration disorders, autism, fetal alcohol/drug exposure, genetic disorders, downs syndrome, dyslexia, delayed processing, and psychological disturbances, and more. Hannah is passionate about pediatrics and helping children function at their highest level of ability by problem-solving and finding creative ways to implement therapy. 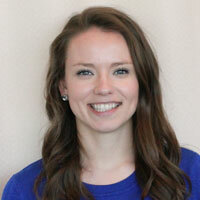 Hannah completed her clinical experiences in outpatient pediatrics and acute rehabilitation in Anchorage. While she grew up in rural Wisconsin, Hannah has spent extensive time in Alaska with family and is excited to call it her new home. She enjoys all things outdoors and is always ready for an adventure. Sarah attended Andrews University in Michigan, completing a B.S. in Psychology in undergraduate studies. After working in the field for four years with social services, she began to pursue a Masters Degree in Communication Sciences and Disorders, which was completed in 2011 at the University of Utah. Sarah absolutely loves her work as a Speech Language Pathologist! Sarah has received training in the Picture Exchange Communication System (P.E.C.S.) and transitioning children from tube feeding to oral feeding. She enjoys reading various kinds of literature, the outdoors, learning the violin and attending church. Lucia is a 2010 graduate of excellence from Long Island University. She received her Bachelor’s in Anthropology from Stony Brook University in 2005. Lucia specializes in Orthopedic, Acute Care, Balance/Vestibular retraining, Lymphedema, as well as Sports, Oncology and Neuro Rehabilitation (such as a Stroke, TBI, MS and Parkinson’s). She is trained in Graston Technique, Functional Mobilization, PNF, Manual Therapy, and is fluent in Spanish. Lucia and her family relocated to Alaska from NYC in 2015. Her hobbies are hiking, snow machining, fishing and hanging out with her family. Originally from Ohio, Rachel graduated from Appalachian State University with a Master’s Degree in Speech Language Pathology in 2016. Since graduating, she has traveled for work taking short term assignments in a variety of settings throughout Indiana, Alaska, North Carolina, and South Carolina. Rachel is passionate about working with children and their families to help her patients reach their fullest potential. She is also conversationally proficient in Spanish. In her spare time, Rachel loves traveling. Her current goal is to get to all 7 continents!